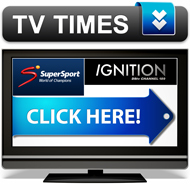 Bridgestone Challenge is a category that aims to cater for new and social riders. It is aimed at the riders that attend the Zwartkops Brunch Run Sundays (however all riders are welcome). 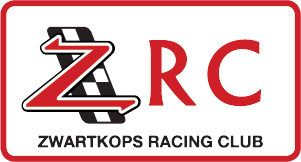 All participants are to be members of the Zwartkops Racing Club. a. 600cc and larger capacity motorcycles are permitted to take p On application to the committee a smaller capacity motorcycle may be allowed to compete. b. Front brake pads and calipers must be lock-wired at all times. Full face helmets with double D-ring fasteners, full leathers, armor protective gloves and ankle protecting boots, all in goodcondition, to be worn at all times. d. No coolant of any kind will be allowed in the radiato Water only. e. The Bridgestone Challenge committee’s decision regarding tyres is fin f. The use of tyre warmers is permitted. 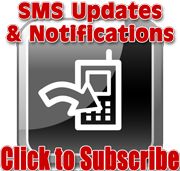 Modifications – There is no restriction on any performance modifications that may be done on the motorcycle, exhaust, air filter, suspension, tuning etc. h. Competitors may not fit turbos, super-chargers or Nos. All competitors are required to have the series sponsor’s stickers on their motorcycle. Refusal to put the stickers in the position requested by the committee will result in the competitor being excluded from competition. Side and/or centre stands and mirrors must be removed. a. Headlights, tail lights, brake lights, indicators e should be removed. If the lights are not removed they must be taped. b. Oil filler cap, sump plugs and oil filter should be locked wired at all times whilst racing. Riders must hold a current circuit MSA licence. A rider younger than 16 may apply to the committee who (in conjunction with MSA) will decide if the rider is eligible. Riders are on an invitational basis only; Committees decision will be final. 5.1 The committee will decide in which class a rider will ride. A new rider will be allocated to a class after race 1. This will be based on his/her best lap time in qualifying and race 1. 5.1.1 A rider must be capable of lapping Zwartkops faster than 1:28.0 seconds. Riders that are slower than this lap time are encouraged to attend more track day sessions before entering Bridgestone Challenge. The lap times for each class at non-Zwartkops events will be determined by the committee and communicated to the riders before qualifying at the event. If a rider exceeds the class lap time point 5.5 applies. Riders in the Ladies and Masters classes will score points in these classes as well as classes A-E. Only points scored in classes A-E will count towards the overall championship. 5.3 If a rider changes motorcycle to a different make or cc and/or significantly modifies his/her existing motorcycle then the rider may be re-classed based on the lap times achieved as per rule 5.1, The onus is on the rider to inform the committee if he/she has changed motorcycle or significantly modified his/her existing motorcycle. 5.4 If a new rider joins Bridgestone Challenge at a non-Zwartkops event the Bridgestone Challenge committee will allocate the rider to a class based on the lap times achieved by the new rider in qualifying and race 1. 5.5 A class change to a higher class will take place at the next event (unless point 5.6 applies), if during the same season a rider breaks his/her class time by lapping faster in any two different sessions (qualifying, race 1 and race 2 are defined as sessions). If a rider exceeds the class lap times in at least 4 laps in a session, then the rider will automatically move to a higher class at the next event (unless clause 5.6 applies). 5.6 If a rider breaks his/her class time but has already participated in 7 events of the season (and provided the rider does not change motorcycle), the rider will not move up to the higher class and will remain in his/her class for the remainder of the season. Example – A rider has competed in events 1 through 7 (i.e. 7 events) and at the 8th event this rider breaks his/her class time, rule 5.6 will apply and this rider will not move up a class. 5.7 A rider may apply in writing to the Bridgestone Challenge Committee to be re-classed if the rider has changed to a smaller capacity motorcycle and/or a different make of motorcycle. The committee’s decision is final. 5.8 Lap times achieved in Bridgestone Challenge, Sub 10 Superbikes and Thunderbikes will be taken into account for Bridgestone Challenge allocation. 5.9 Official Lap times from any other series/ club race will be taken into account to move a new rider into another class, should the rider be found quicker than he/she is in their current class. The committee’s decision is final. 5.10 If a rider is a first time rider in the Bridgestone Challenge and exceeds the class A lap time in qualifying, the rider will not be allowed to compete in the Bridgestone Challenge. If a first time rider does a lap time one second faster than the Class A lap time in the race, then this rider will receive a 30 second penalty which will be added to his/her race time. This will be added per race that the lap time is exceeded. 5.11 Riders that break out of class A (as per point 5.5) are encouraged to race in Sub 10 Superbikes. A rider that breaks out of class A (as per point 5.5) will no longer be eligible to enter Bridgestone Challenge for the remainder of the season. A rider will carry his/her overall and class points into Sub 10 Superbikes but with the reduced percentage as per rule 6.3), if he/she breaks out of class A, based on point 6.3. 6.2 A rider must be classified as a finisher on the results in order to score points. 6.3 If a rider changes class then based on the below table he/she will carry the specified percentage of points (rounded to the nearest point) to the higher class. Example: A rider usually competes in class C but breaks into class B (per point 5.5) at the fifth event. This rider will carry 90% of his/her points into class B. 6.4 Points will be awarded to the first 15 finishers at an event towards the overall championship calculated on total accumulated race time at an event. Example: A rider has finished race one in 1st place and race 2 in 2nd, his total accumulated race time places him 2nd overall for the event. He will then score 20 points towards the overall championship as per the table below. 6.5 All races (even non-Zwartkops races) score points and count towards the championship. 6.6 A rider may elect to not score points. The points will then be scored as if the rider did not compete in the championship. This is for a rider joining for one or two races who doesn’t want to affect the championship, and are only there to have fun. The rider needs to put this in writing before Race1. 6.8 Riders that join the series at the 7th event or later, will be classed as per the rules and will be eligible for trophies however these riders will not score points towards the championship. The points will be scored as if these riders had not participated. 7.2 If there are exceptional circumstances (such as extreme weather), the committee may elect for the competitors to start in class in championship order. Although points will be scored on a per race basis, trophies are awarded on the combined race times of race 1 and race 2 (or race 3 in the event that there are three races on a day). Trophies will be awarded at the discretion of the promoters.